The River Bluff High School Learning Commons strives to promote a culture of literacy among the students, faculty and staff of our school community. In support of literacy, the Learning Commons offers high quality literature to support the reading lives of the RB learning community. Books are available in various formats including ebooks and audiobooks and cover a wide range of fiction genres as well as a carefully selected nonfiction collection to help support the curricular activities of all content areas. The Teens' Top Ten is a "teen choice" list, where teens nominate and choose their favorite books of the previous year! 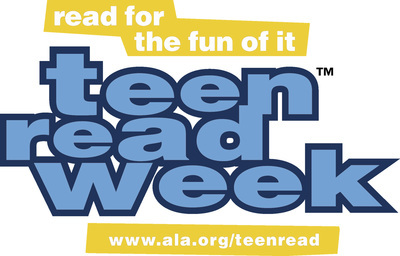 Nominators are members of teen book groups in fifteen school and public libraries around the country. Read some of the nominees this summer and vote for your favorite when we get back to school in August! 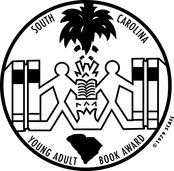 Click on the logo to see the current list of books nominated for this award. Read 3 from the list and vote on your favorite each February in the Learning Commons! The Lexington County Public Library is another great option for finding the perfect book to read. They have an extensive collection of print books, eBooks, audiobooks, DVDs and magazines that you have access to...for FREE! Stuck finding your next great read? Check out these websites! Book Suggestions: Send me a note about the books you'd like to see in our collection.